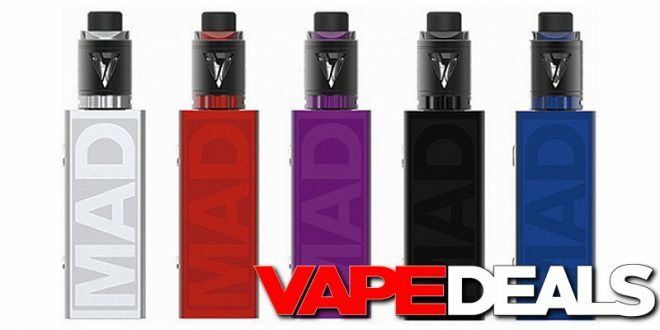 As a fan of more traditional designs, I’m really digging the looks of the new Desire Mad Mod. It might not appeal to everyone, but with all the flashy devices on the market these days, I think it’s a nice change of pace. Efun has a killer deal going right now too. The full kit (includes Desire M-Tank and coils) is listed at $85…but you’ll get a whopping $50 off when you log into your account! That works out to just $34.99 total, which is about $16 less than the next lowest price out there. Please note that this offer applies to the black and red colorways only (+$12 for purple, silver, or blue). **I’ve had occasional problems logging into my Efun account with Chrome. If that happens to you, try using a different browser (that’s what worked for me).